15 Easy To Make Minecraft Projects! You are here: Home / Great Deals / Amazon Deals / 15 Easy To Make Minecraft Projects! Do you have a Minecraft lover in your house? Or maybe 2? Then this could be the perfect book for you! 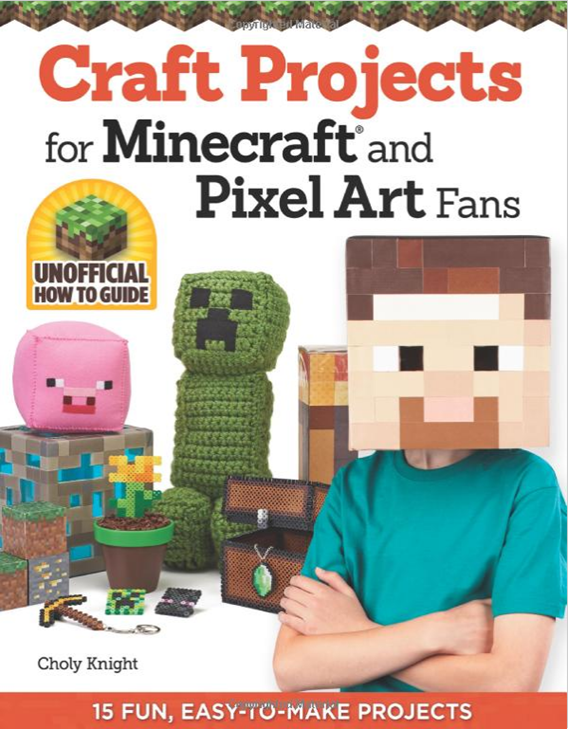 You can get this Minecraft Craft Projects book with 15 easy to make projects for just $8.99! Bring your Minecraft adventure to life with easy-to-make craft projects! Use this imaginative book to create instantly recognizable toys, jewelry, wearables, and accessories, based on one of the most popular video games of all time. Author Choly Knight shows you how to quickly make real-world versions of all your favorite Minecraft characters and game elements, using only a few basic craft supplies. The blocky-pixilated graphics of Minecraft are perfect for so many different kinds of crafts. Inside you’ll find 15 fun step-by-step projects for perler beads, duct tape, paper crafting, sewing, and crocheting. So get in “creative mode” and celebrate the limitless possibilities of Minecraft!